What has vehicle manufacturer IVECO got to show at the end of more than 900,000 engineering hours, 800 virtual and physical tests, 200 prototypes, and more than 3.5 million of kilometres of durability and reliability testing? The New Daily, a full-tech commercial vehicle complete with a Compressed Natural Gas (CNG) engine and an extraordinary array of features. The New Daily is offered with two engines, one of which is optionally available as a ‘Natural Power’ CNG version. That is a 3.0-litre heavy-duty F1C engine, offering three power ratings with increased performance ranging from 160 to 210 hp. 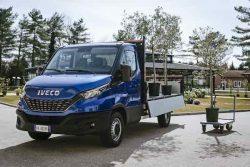 IVECO says the commercial vehicle industry is experiencing change at an unprecedented rate, driven by megatrends such as digitalization, automation, electrification and servitization. The New Daily addresses these trends, turning them into opportunities for customers. In 40 years of success, the Daily has become a brand, recognised for its uniqueness and as the headliner in its segment. 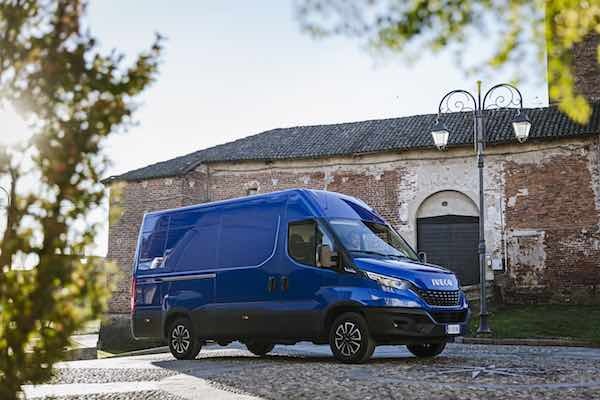 The New Daily is manufactured at IVECO’s production plants in Suzzara, Italy, and Valladolid, Spain, which are entirely dedicated to this product family.